It’s all about okra today! Please don’t leave. Just look at how pretty it is! 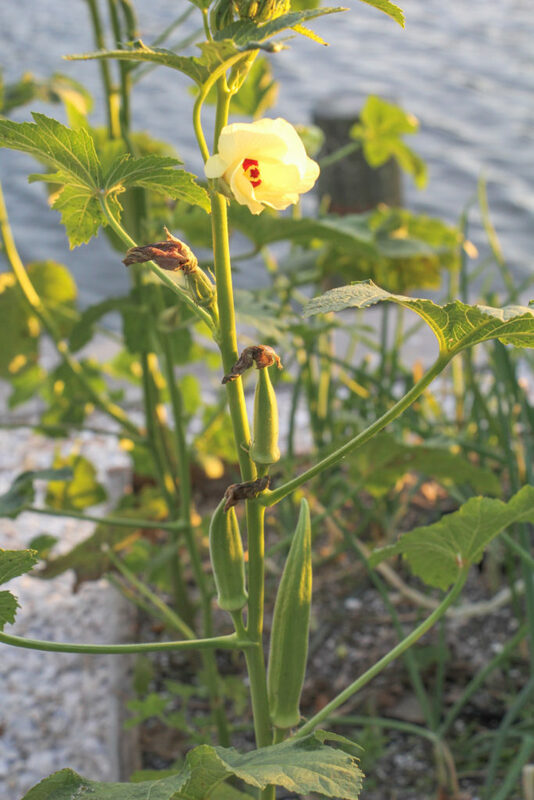 Okra is stunning in the garden thanks to all the lovely flowers that look so much like hibiscus (they’re related). I grew a few kinds this year, but once again, the Clemson Spineless got best in show. I was really hoping I’d get lots of colorful pods from the Jing Orange, Burgundy Red, and Bowling Red varieties I planted, but no, only a couple pods on some very small plants. Not sure why they struggled. I’ll try for a rainbow of okra again next year. 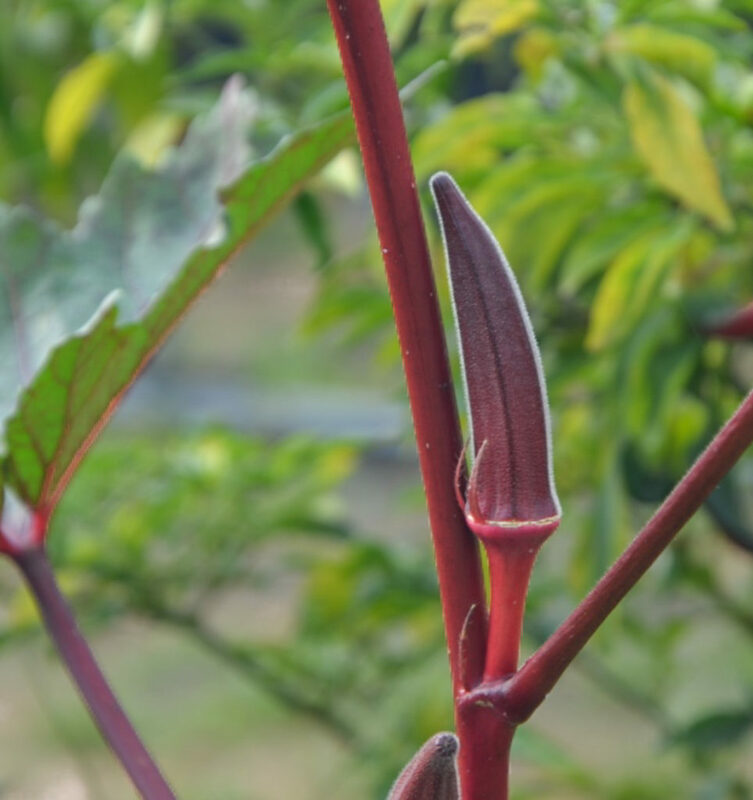 Once the flowers shrivel, the okra pods form all along the stalk as the plant grows taller. If you leave the pods on too long, they’ll keep growing until they split open, releasing the seeds. Large okra pods are so fibrous they’re inedible no matter how you cook them (but if you have a trick, please share). I like them best when they’re about as big around as my thumb. I try to pick them often and save them up in the fridge until I get enough to cook a big batch. If I need to use up a small handful, I pickle them. 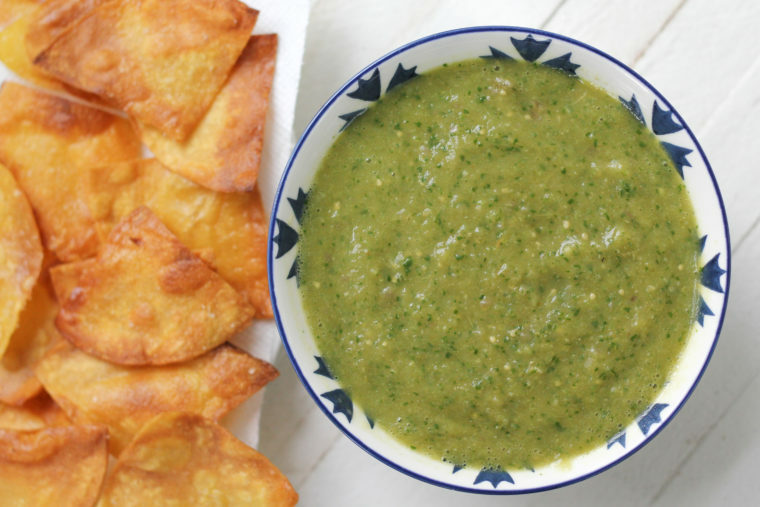 People hate on okra slime, but that’s okra’s magic. It’s what thickens gumbo and makes fried okra so darn crispy. I’m harnessing it in this recipe, too. 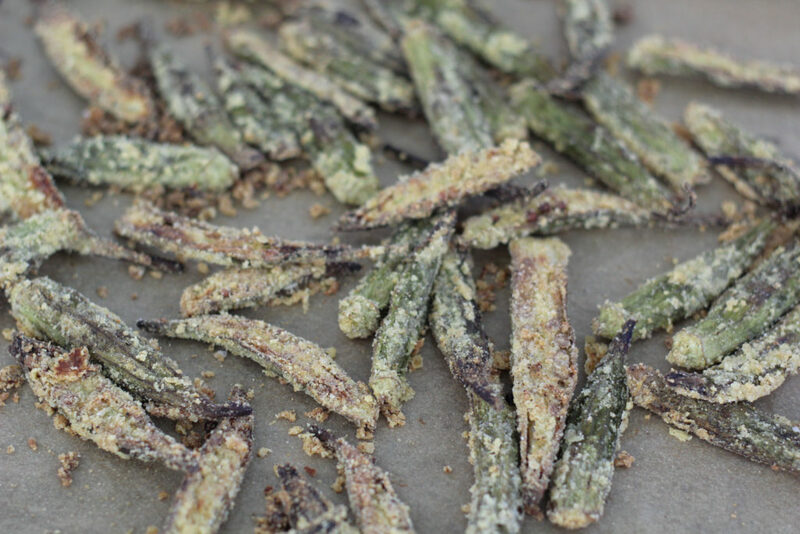 It makes the cornmeal coating stick to the okra without any other binder. After a deep roasting the little pods become crispy-coated fries, ready to drizzle with a garlicky, spicy buffalo-wing-type sauce. Finger-lickin’ good. Slice the okra pods in half lengthwise. Sprinkle them with a pinch of salt. In a large bowl, whisk together flour, cornmeal, cornstarch, salt, garlic powder, paprika, cayenne, and black pepper. Add the okra to the flour mixture and toss to coat. 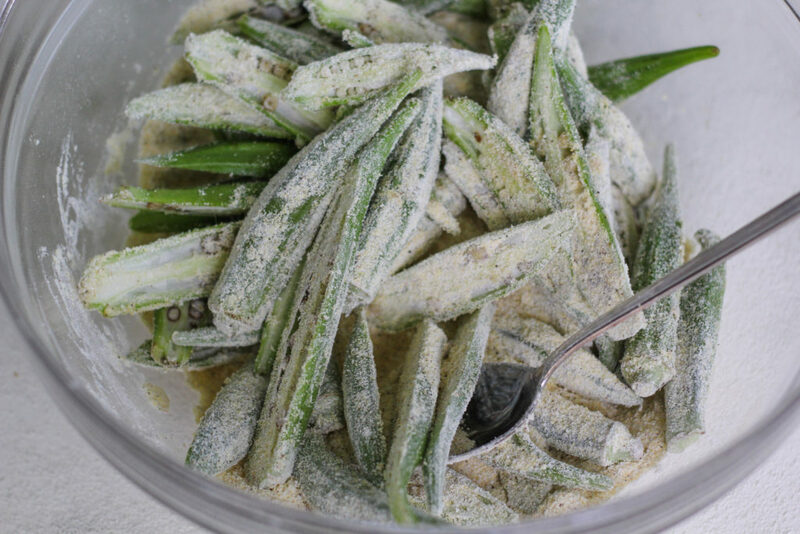 Transfer the okra from the mixture with a slotted spoon onto the baking sheet. Drizzle with oil, give it a stir. Into the oven it goes. Set a timer for 7 minutes. Stir, then set the timer and stir every 5 minutes until it's golden and crisp, about 15-20 minutes. Meanwhile, make the buffalo sauce. 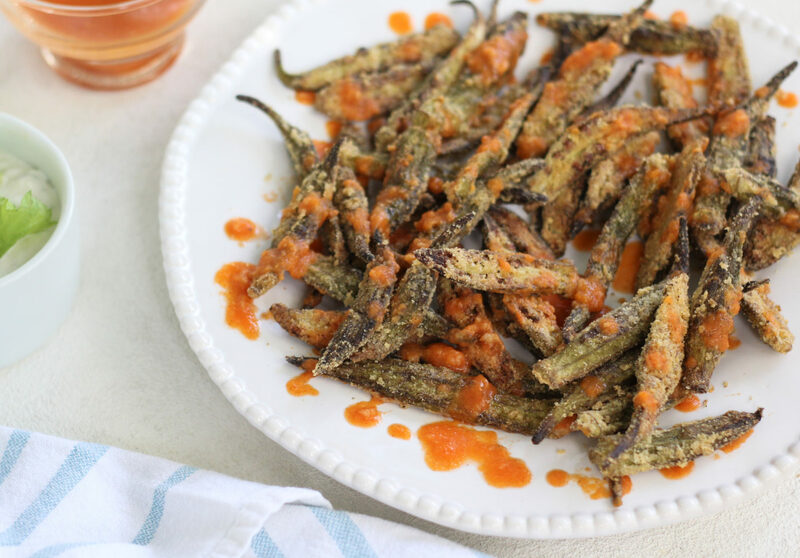 Transfer the okra to a serving plate and drizzle with the buffalo sauce. 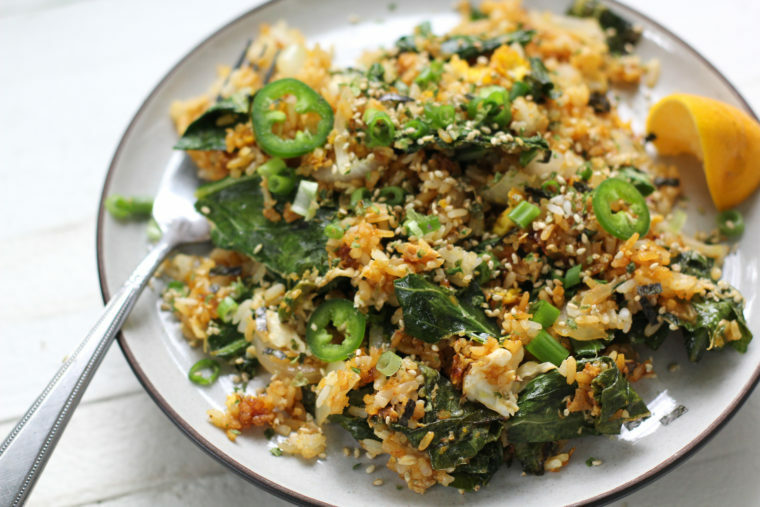 Serve with blue cheese dressing and celery sticks for a buffalo-wing-ish experience. 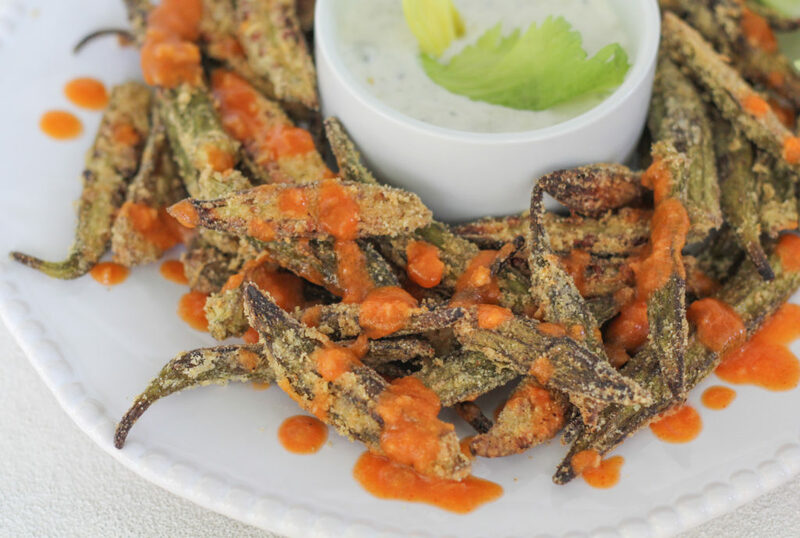 I’ll be the first to admit I’m not an okra fan, but anything tastes good with a crispy outer coating and dipped in buffalo sauce! I can so relate to being disappointed by the results of unique vegetable seeds. I’m always so excited at planting and so let down by the end of the season. This might be the first year I don’t bother! 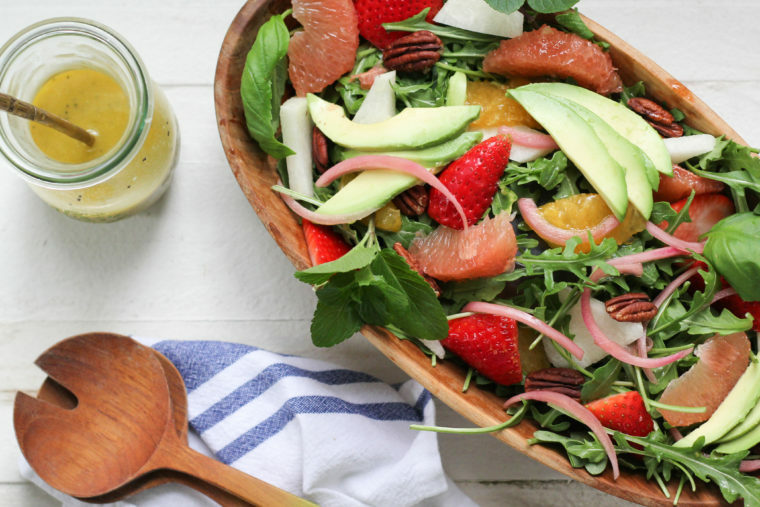 I did provide a recipe- hint hint… jk of course I will make it for you, bt!